Margaritas at Condado. Photo by Kristy Locklin. 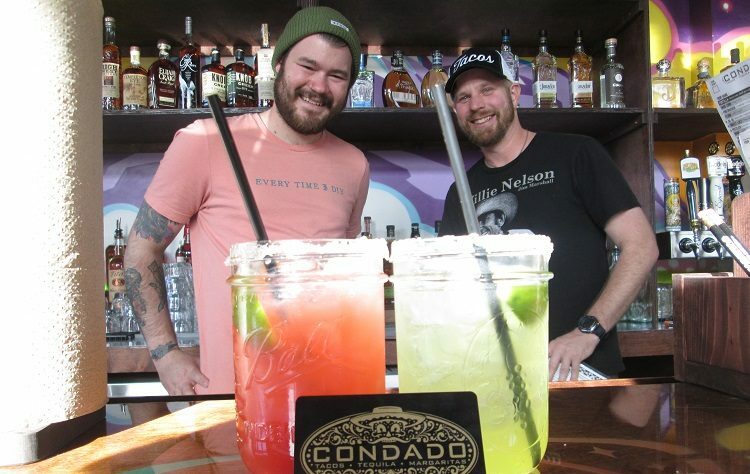 Condado Tacos opens its Lawrenceville location tomorrow, serving their popular tacos, guacamole, margaritas and house-made sangria in the former bank space that was previously Tender Bar + Kitchen. The space is eye-catching: Several local artists, including Brian Holderman, Matt Spahr, Jewels Antonio, Jerome Charles and Lizzee Solomon, have color-blasted the interior with murals that create a festive space perfect for a happy hour drink right in the middle of Lawrenceville’s nightlife scene. Pittsburgh got its first taste of the company’s Mexican fare in March 2017, when Condado debuted Downtown on Liberty Avenue. 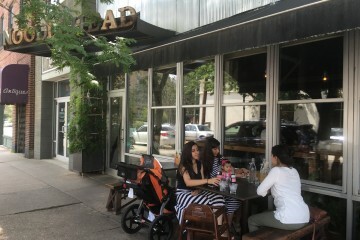 That location is open daily from 11 a.m. to 2 a.m.
Kahn opened the first Condado in 2014 in Columbus, Ohio. Since then, the brand has added three more Columbus-area eateries (with two more expected to open this fall), a spot in Cincinnati and one on the way in Indianapolis. 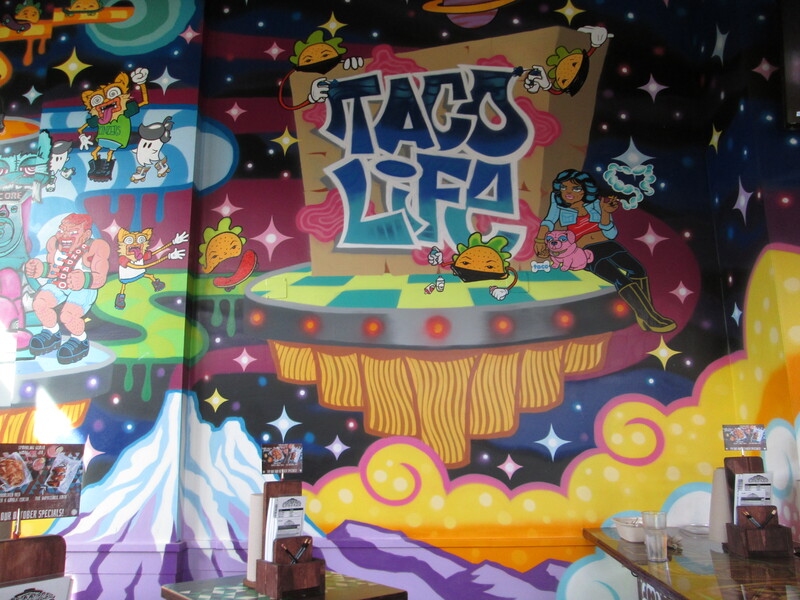 Vibrant art abounds at Condado Tacos. 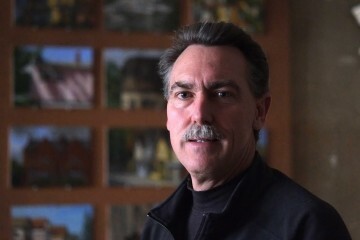 Photo by Kristy Locklin. The ordering process is easy: Using Scantron-style menu cards you fill in with a pencil, customers can build their own tacos — priced between $3.50 and $4.50 — from a wide selection of toppings, proteins, shells, salsas, cheeses and sauces. Not into D.I.Y.-food? Choose from a list of specialties, such as the Dutch Dragon, which features guacamole, grilled portobellos, corn salsa, pickled jalapenos, jicama, tomatoes and salsa verde. The menu also features Tuscan-style guacamole made with artichoke hearts, basil, balsamic and queso fresco. Specials for October include a Caramel Apple Guacamole, Roasted Red Pepper and Garlic Queso and the Marg-CURE-ita (It’s Pink for Breast Cancer Awareness Month). “Affordability, customization, and, of course, freshness have been the key to our success,” Kahn says. It looks like that successful formula may lead to more expansion. Kahn told us he’s hoping to eventually expand into the suburbs of Pittsburgh: “We see a lot of potential,” he says.